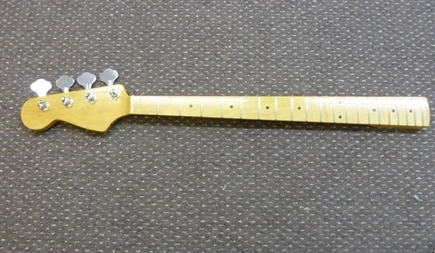 Foe sale, Left handed J bass guitar neck, maple fingerboard, Klusn machine heads. 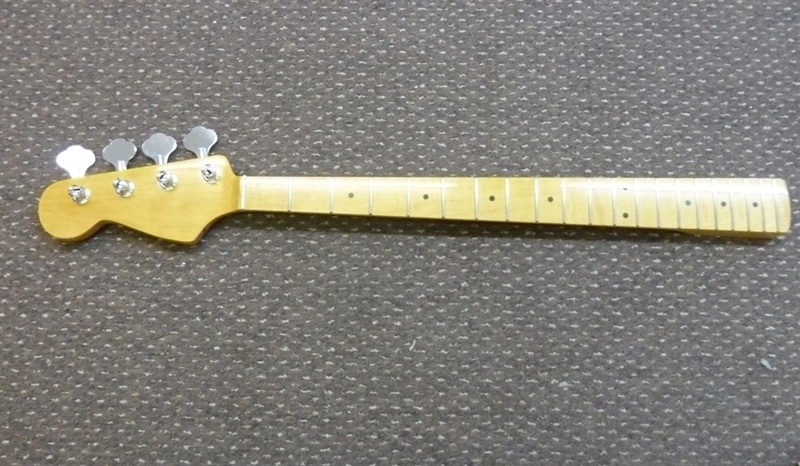 Beautiful new L/H maple Jazz bass guitar neck and fingerboard, 50's style.Truss rod access in the heel, complete with full set of Kluson type machine heads. The fretwork is superb and the price is amazing.